Do you ever have those middle-of-the-night brainstorms? I’ve been playing around with Wordle for a client so it was in my mind when I got to thinking of other possibilities. 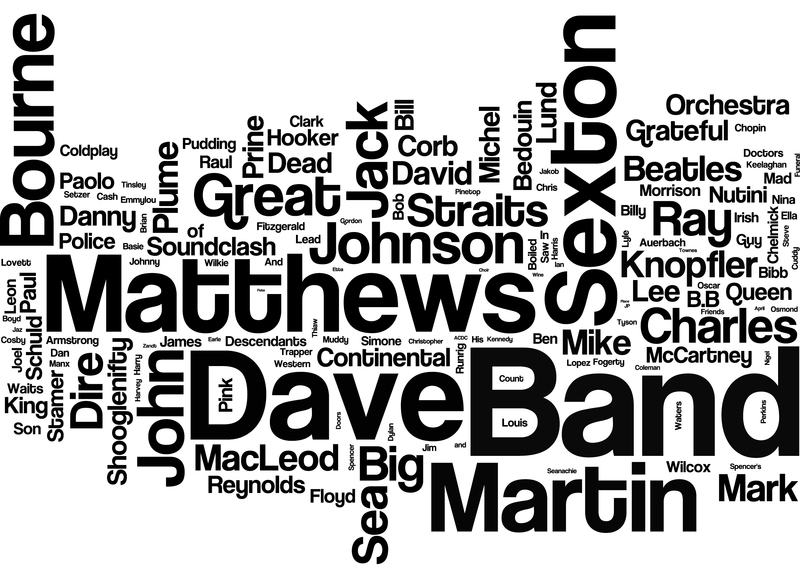 I wondered if it would be possible to create a Wordle out of the artists in my iTunes playlist. I have figured out a method that I’d like to share with you for use in your class or just for a spring break project. Copy all of that content (CTRL+C on pc; ⌘-C on mac) to put all of the artists in the clipboard. Visit http://www.wordle.net and click the CREATE button at the top. Paste in the data from your clipboard (CTRL+V on pc; ⌘-V on mac) in the box entitled, ‘Paste in a bunch of text’ and press ‘Go’. Once the artists are in Wordle, play around with the settings until you’re happy with the results! You can print, turn it into a PDF, take a screenshot or save it to the public gallery. 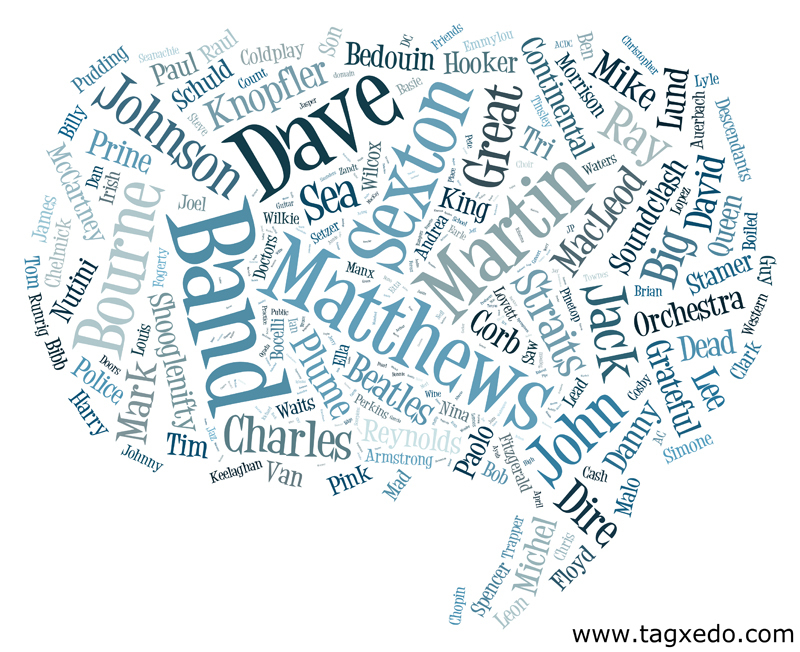 Shelley Davis Forman suggests using Tagxedo.com as well! This entry was posted in All Grades, Professional on March 24, 2011 by admin. You can upload an image to make the cloud shape specific depending on the theme of the words. Maybe a guitar for Pete’s word cloud? I’ve been very pleased with how detailed I’ve been able to get the words to form to any pictures I’ve used. I’ve even used photographs of student’s faces.